from the 7th 'til the 10th of October, 2010. 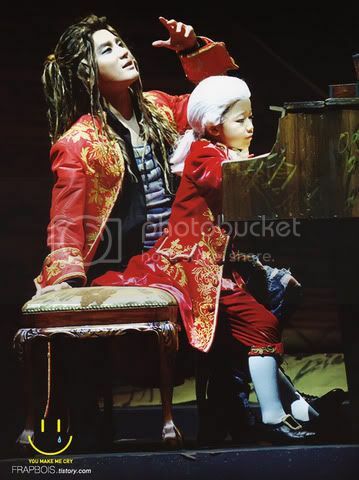 The show focuses on Wolfgang Amadeus Mozart's everyday life as a man more than on his music. 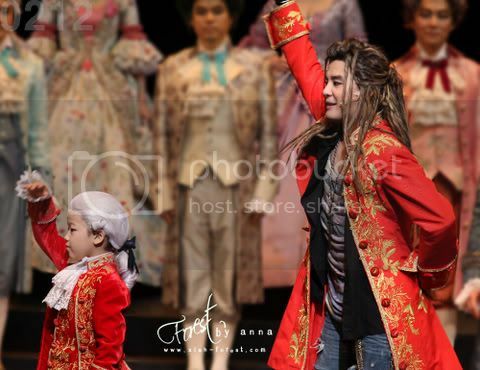 Junsu performed as Mozart, wearing the clothes of a rock star, not 18th century European costume. The musical is Written by Michael Kunze and composed by Grammy-award winner Sylvester Levay [standing in the middle in the pix above]. 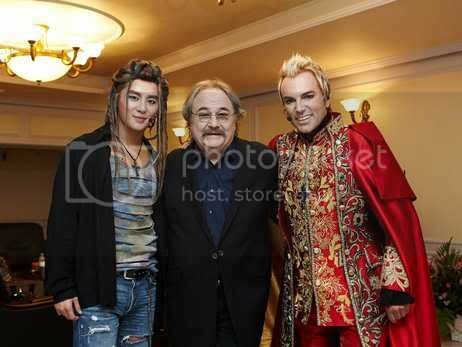 A famous German musical actor - Uwe Kröger - who worked with Levay in several musicals, came to South Korea to participate as a special guest [above, first from left]. 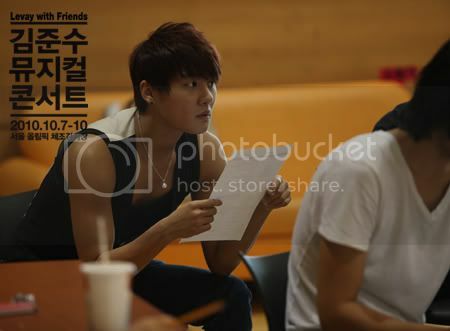 Good luck to future projects to Junsu....Fightiing ! parkminnie.wordpress and natchan87 at livejournal.com. Wow..You know.. 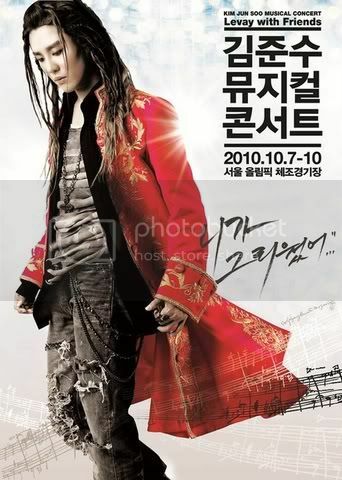 I could to find link of this DVD on the web.. on Junsu plays.. he is really amazing! looking his performances its give me goosebumps! Oh dear.. I am so happy for you.. Hyun Joong will go to Indonesia... are you ready to his fanmeeting? Yes there's lots of vidz of the concert...plus other musicals that Junsu's involved in....like Tears of Heaven and Elizabeth...I know you and other fans will find it easily in YT. Oh...about KHJ ...I'm still confused, Anabel....wish me luck !